I have a lot of characters, and a lot of moments which I’m proud of; most of those moments encourage character growth and add depth to those characters, but my favorite moment does none of that. I was playing Rifts again, but this character was one of the very few I’ve ever played as evil. He was a Gnome City Rat race and class wise, but he had cybernetic enhancements and was the boss of a medium scale crime ring! Amazingly, I managed to keep his true nature murky and unconfirmed to the more goody-two-shoes members of the party, in fact, one of the party members (a mercenary) was so intent on currying favor with Threethumb (his nickname), that they designated themselves his “hat keeper” to prove their usefulness to him. This is important to note because Threethumb had a fancy fedora that he always wore, he had an obsession with keeping it clean and nearby and/or on his person at all times; he valued this hat above anything else, even party member’s lives (he was somewhere between Chaotic and Neutral Evil). In an encounter, the rest of the party was attacking an armored vehicle. Threethumb was wholly unconcerned, content to let them whack away at it without his assistance…until a resulting explosion knocked him out of the tree he’d parked himself in and blown away his hat in the process. Now it was personal. Threethumb used all of his attacks running to get up to the combat zone and next to the vehicle. With no more attacks left and only actions available, but a personal vendetta to fulfill, I had to roll a natural 18 or higher for Threethumb to jump through the window using his cybernetic, bladed claws to try and hit the person inside. If I failed, he was likely going to get crushed under the vehicle’s massive wheels. 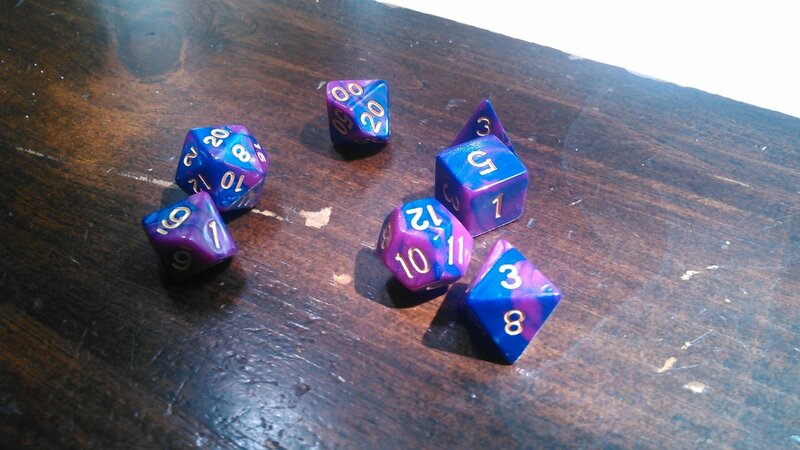 I rolled a 19, successfully breaking through the window, impaling the passenger, and getting into the cab of the vehicle. Then Threethumb was knocked unconscious, and later learned that these people were actually allies to his party…but still. This is my favorite character moment, because I feel like I stayed true to the nature of this evil character, while also pulling off some seriously amazing rolls. He really didn’t give a crap about anyone except his hat (for reasons having to do with his mysterious backstory), and wasn’t interested in joining in on the dirty work of combat until that hat was blown off of his head. And then, heedless of his own safety, blood on his mind and logic clouded by anger, he throws himself into battle in the most literal, reckless, and bloody way possible. He didn’t learn anything from that moment, either – nothing at all! He killed an ally, sure, but he got revenge for his hat (the merc picked it up and returned it later, currying much favor with the mob boss) and got the point across that he wasn’t to be messed with. And that’s all that mattered to him. One of the few times I was playing Dungeons and Dragons, I was playing another Gnome, but a Chaotic Good Bard this time. Also in the party were a Half-Elf Ranger, a Human Fighter, a Dwarven Paladin, and a young Kobold Shadowdancer we’d saved and allowed to join the party. Weird, I know, but the party was already used to my annoying Gnome, what more was Kid Kobold who could play with shadows? We are fighting a Black Dragon, most of us got struck with the Dragonfear (my character even ran away at first), so nobody blamed the little Kobold for hiding in the shadows. However, after his Dragonfear wore off and we were battling the Dragon, Kid Kobold slips further into the Dragon’s lair. He has a portable hole. He finds the Dragon’s horde. He’s a Kobold. That little brat shoved roughly half of the Dragon’s treasure and horde of magic items into his portable hole, hid the portable hole back in his pack, and sneaked back out of the cave to rejoin the rest of us as we finished off the Dragon. We get to the treasure, which seems really light for a Dragon as old as this one, but none of us successfully notice how nervous the Kobold is. We never found out about that gold. I have never had more respect for a character I hated. How my Dog-Boy (Rifts) became a Paladin of the Archangel Gabriel is a popular retelling around the table. We had just finished defending a keep from attack by vampires, and were meeting with the leader. Then the evil demon-possessed sword that the Cat Person Assassin carried activated, ripping a portal to Hell open and allowing a Greater Demon Lord to step through. The Demon casts a spell and our characters (except for the Cat) are blinded. It offers the Cat immense power to kill us and the leader, which she is more than happy to do. Turns out the leader was the Archangel Gabriel in disguise, waiting for the group of prophecy to arrive for thousands of years so that the Demon and Gabriel could finally do battle. Blinded, but clearly able to hear the Cat making a deal with the Demon, the other party member (a centaur/alligator warrior) is pissed and starts swinging his weapons around in a desperate attempt to defend himself from his former ally. Asher, my Dog-Boy, can hear Gabriel in his head, telling him to move to defend his friend. So, still blinded, he moves forward to do…hell if he knows, something to help. And suddenly, he is enveloped by a bright light and can clearly see the silhouettes of those around him; he’d been granted a permanent aura/alignment sense by Gabriel, who anointed him his champion. Using this, Asher was able to rush forward to grab and subdue the Cat (who wasn’t happy at all about this, seeing as just being touched by the Paladin now hurt), saving the Lizard Prince (oh yeah, he was alien royalty, forgot to mention). Gabriel and the Demon exchanged words, promising a great battle between their champions and themselves to determine the fate of the world in the near future. The Demon stepped back into Hell through a portal, and then Gaberiel restored Lizard Prince’s sight, bestowing upon Asher a Paladin blade that did x2 damage to evil that could be summoned at will, as well as instructing him to seek justice for the Cat, and to travel the world and develop his new Pally powers until the great battle’s arrival. Being Lawful Good (and in love with the Cat, evil though she was), Asher fought LP to keep the Cat alive so she could be brought to justice in the eyes of the law. The law, in this case, was nature’s law, and she was encased in a tree by natural magic. I’m sure there are plenty of big name examples and occasions, especially with groups gaming live on Twitch for charity (some for a straight 24 hours or more! ), but I’d consider any person or group who helps out locally to be amazing and inspiring. People/groups who get kids off of the streets and away from bad influences and into gaming, using gaming as an outlet for mentally ill or challenged folks/kids – providing these people with avenues to shape themselves and their futures, or even just to have a good time. I hope to be counted among them one day – maybe by starting a group for underprivileged youths at the high school or library, maybe by donating my books to such a cause. I know I technically didn’t answer the question, but that’s my answer. The community and how it brings people together. Digital above all, second hardcover, third softcover. As an RPG blogger, digital versions of games are an absolute necessity. They make my life easier, I can reference them anywhere, I don’t have to worry about the baby chewing on them. As a parent and a klutz, I also like sturdy things, books especially, so hardcover is vastly preferred to soft (if available). The players and what they bring to the table. Having a group that can show up on time consistently, stay on task (maybe even only 60% of the time), get along together, and respect the rules of the establishment or home where they’re gaming. Being courteous to the DM is also a plus, so is chipping in on snacks/food. If you come to my table, you come with a positive attitude, a wish to game, and an appreciation for everyone you meet at the table, the work and time they put into the night, and their beliefs and ideals. Good players, that’s my ideal session. This entry was posted in Just for Fun, Other and Everything, Role Playing, Role Playing Inspired and tagged rpg a day, rpg a day 2016, rpgaday2016. Bookmark the permalink.